Travelers drops the "St. Paul." Will it drop the other shoe? St. Paul Travelers says the name change will likely come in mid-March. That's when the insurer expects to complete a deal with Citigroup to recover a long-time Travelers trademark -- the red Travelers umbrella. Travelers started using that symbol back in the 1870s. St. Paul Travelers CEO Jay Fishman hailed the red umbrella as "one of the great American business icons." "Surprise. Surprise," said insurance industry consultant Ira Zuckerman. He says the name change makes sense. "They've been trending that way for while. St. Paul was the smaller of the two companies and had a much lower profile," said Zuckerman. "And concurrent with the dropping of the St. Paul, they repurchased the umbrella." 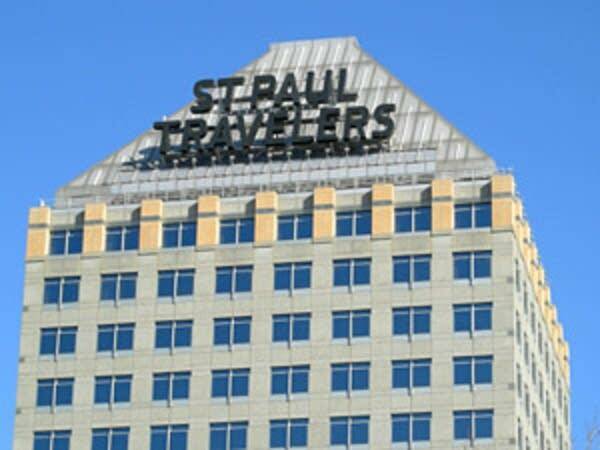 The St. Paul Companies and Travelers merged two and a half years ago. From a marketing standpoint, Zuckerman says Travelers brought a stronger brand to the combined company than The St. Paul Companies did. "It's got more visibility than the St. Paul did," Zuckerman says. "St. Paul -- their sales of the personal lines business had no profile at all in the auto-homeowners business. And Travelers was by far the more prominent company in the eyes of the public." St. Paul Travelers did not offer an explanation for the name change. And company officials could not be reached for comment. But the insurer has been steadily de-emphasizing its St. Paul identity. St. Paul Travelers did not offer an explanation for the name change. But the insurer has been steadily de-emphasizing its St. Paul identity. Last June, the company announced it would drop the "St. Paul" part of its name from most of its insurance products, leaving only the "Travelers" brand. At that time, however, the name change did not extend to the corporate identity. When The St. Paul Companies and Travelers combined, the companies cast the deal as a merger of equals. But many industry analysts said it really was Travelers that acquired the St. Paul Companies. St. Paul Travelers has been doing quite well financially. But some of the insurance company's moves in the past year or so have prompted questions about its commitment to keeping its headquarters in St. Paul. For instance, the insurer has been adding office space in Hartford, Connecticut, the old headquarters for Travelers. St. Paul Travelers has some 6,000 employees in Hartford -- more than twice the number in St. Paul. The company also has added more jobs in Hartford than St. Paul lately. The company says that's because the businesses run in Hartford are growing. Company officials have also steadfastly maintained there are no plans to move the headquarters out of St. Paul. But not everyone is convinced. "I would expect that Travelers will eventually be back on the East Coast, where they came from," says Peter Young, an insurance expert at the Opus College of Business at the University of St. Thomas. Young says the insurer's business model and East Coast management tilt suggest its headquarters will end up out East. "There could still be a major regional presence in the Twin Cities," says Young. "Might still be in the same buildings. I'm not privileged to any inside information about their thinking. But I just feel their corporate headquarters will be back in Hartford." According to a state report, St. Paul Travelers has about 2,700 employees in St. Paul. Bob Hume, spokesman for St. Paul Mayor Chris Coleman, says the mayor expects those jobs will stay put. Hume says CEO Jay Fishman made a commitment last year to keep the company's headquarters in St. Paul. "The name of the corporation doesn't matter to the city of St. Paul, so much as their success and ability to have their corporate headquarters," says Hume. "The mayor is always in contact with Jay Fishman and others at the company, and we have every reason to believe they are committed to keeping their corporate headquarters in St. Paul." The St. Paul Companies was founded in 1853 as Saint Paul Fire and Marine Insurance Company. The firm came into being largely to serve locals, frustrated with slow service from faraway insurers. The St. Paul Companies eventually became one of the largest insurance companies in the nation.